In Noirmoutier, an island west of France lies a restaurant called La Marine known for their dishes inspired by the ocean. However, it is only accessible through Passage du Gois, a road built atop a narrow spine of silt in the middle of the sea. So twice a day, the road disappears with the rising tides making Noirmoutier, along with La Marine, basically inaccessible to vehicles and to people. 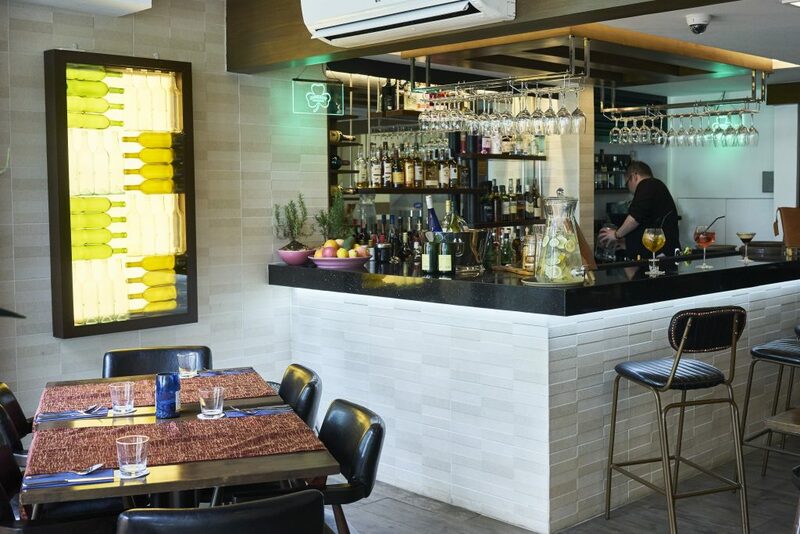 In Alabang, a similar concept, inspired by the coastal cuisines of Greece and Asia, is making the case for restaurants that are worth the drive. Akrotiri, which derives its name from an ancient village on the Greek island of Santorini, is a European and Asian fusion restaurant which boasts of a menu consisting of three parts water (seafood) and one part land (meat) dishes. Even the dishes on their menu reflect a journey across different cultures and cuisines. 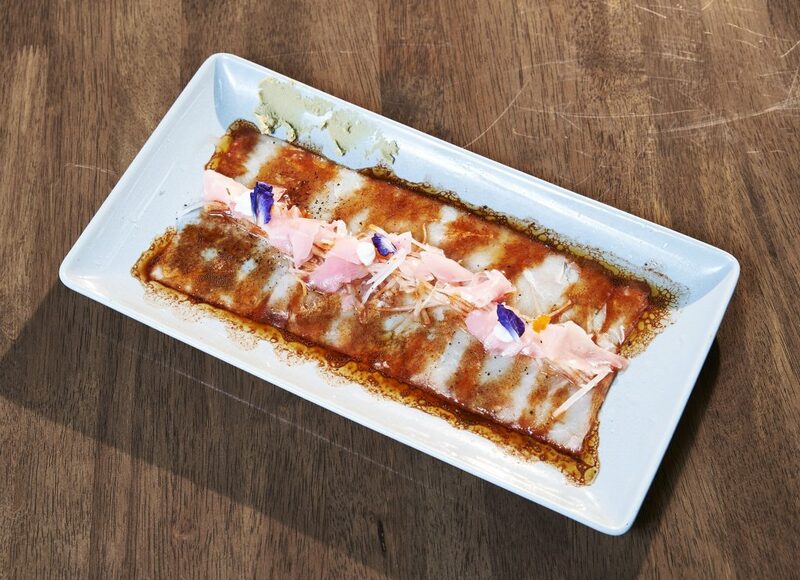 Their tiradito maya maya ceviche is one good example of the blending of eastern and western cooking sensibilities. The local fish is stripped very thinly like the Japanese sashimi, then cured with spicy lemon dressing and garnished with ginger, radish, and wasabi to add a kick to the otherwise subtle taste of the raw maya maya. 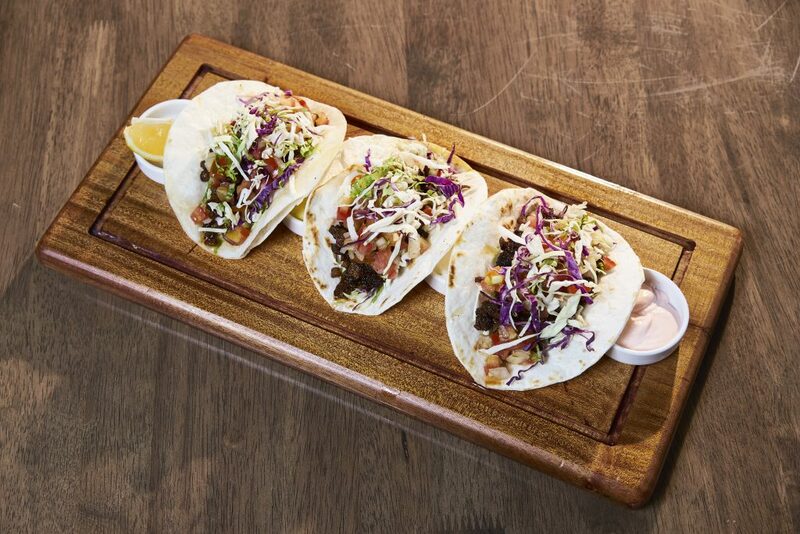 They also touch on familiar Filipino fare like the Kapampangan sisig, which is reinterpreted in the form of a taco. A dish similar to the ginisang tahong of the Tagalogs is also in the menu, except Akrotiri’s version is sauteed in white wine to bring out the sweetness in the mussels. 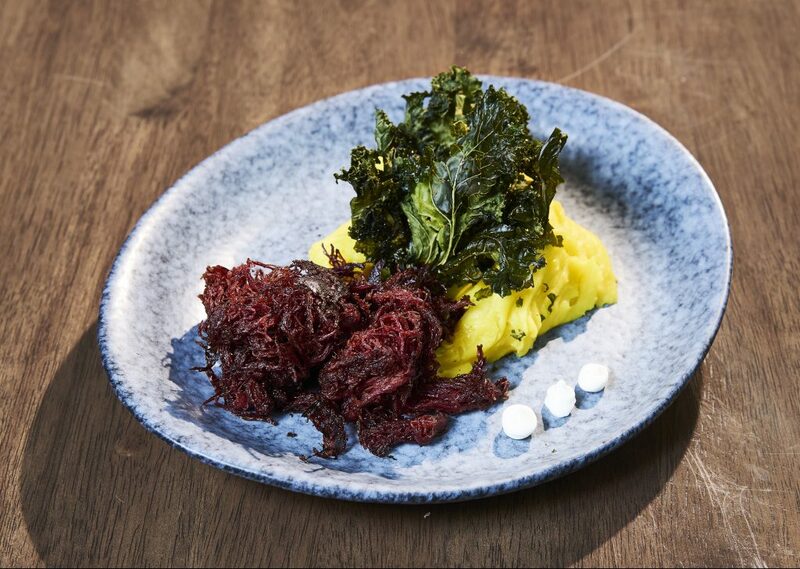 If you are not fond of or are allergic to seafood, they have pork and beef mains like their Wagyu corned beef, which comes with fried kale, turmeric mashed potatoes, and which weirdly pairs well with the house chili oil. In keeping up with Akrotiri’s “traveling cuisine” theme, one of their desserts fuses two elements from seemingly contrasting western and eastern cooking. The green tea tiramisu, as its name suggests, replaces coffee with Japan’s traditional hot drink. 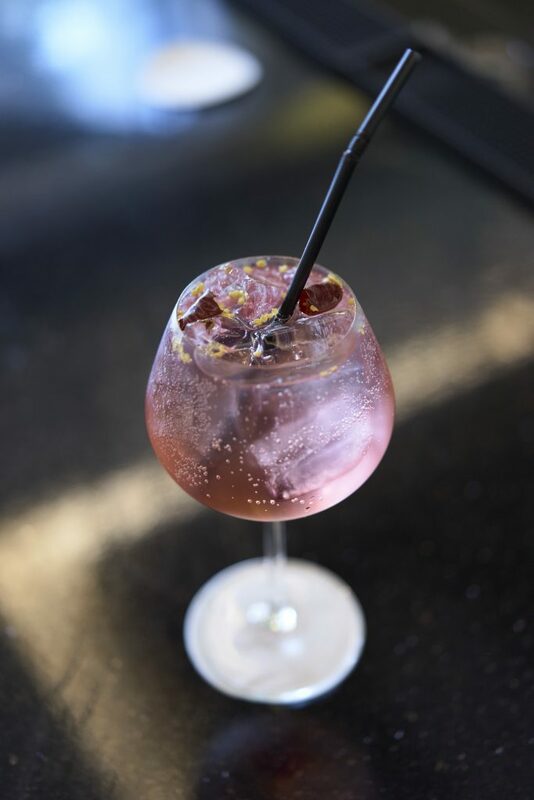 Diners can also look forward to Akrotiri’s wide selection of wines and liquor from different parts of the world along with a bar where the restaurant manager David Jones, himself mixes the cocktails and drinks. Since its opening in April, Jones has been very hands on about every single aspect of the restaurant. His normal day at work revolves around ensuring customers get the best dining experience by attending to their every need and believe it or not, by paying close attention to the subtle facial expressions they make. Despite being located in the south, where some people may be hesitant to go considering it is quite far, Alabang itself presents a myriad of possibilities, Akrotiri being one of them. Afterall, just like the La Marine with its disappearing roads, there are things that are worth going the extra mile for. 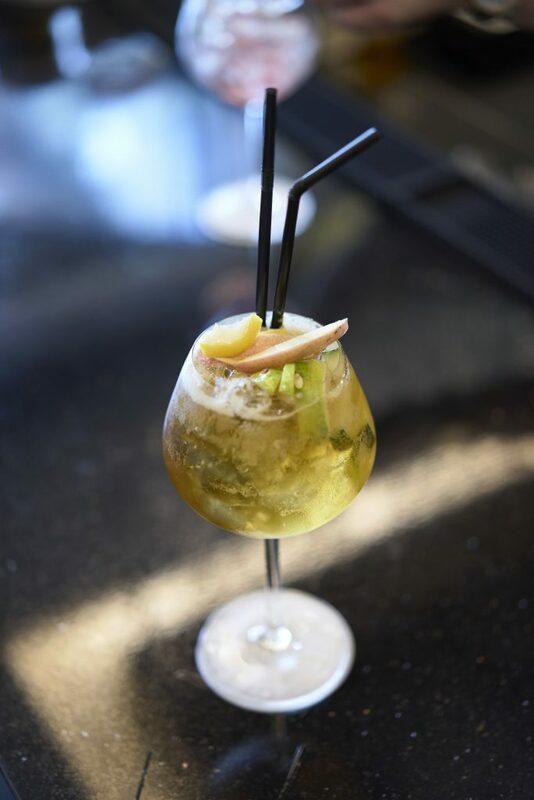 If you love seafood and wine pairings, Akrotiri has a wide selection of dishes and wines. Try the tiradito maya maya ceviche.